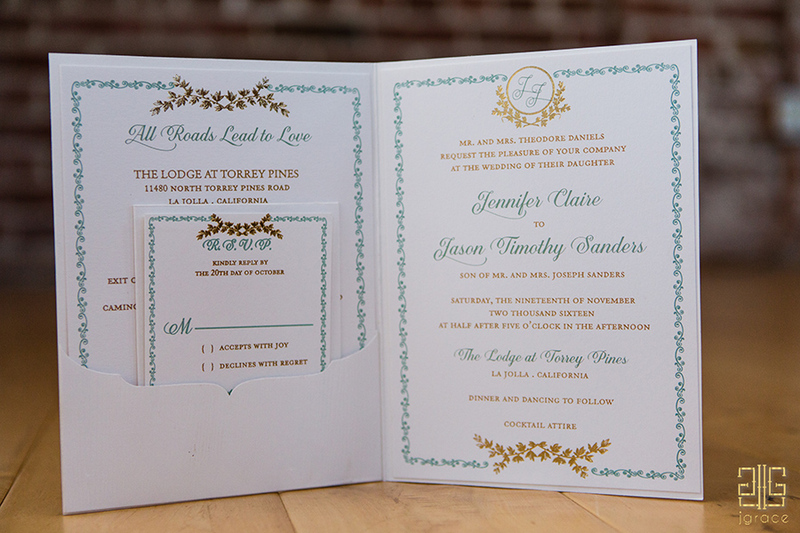 The marry man of Sherwood Forest proclaims sweet love to his maid Marry’n in this legendary invitation suite. 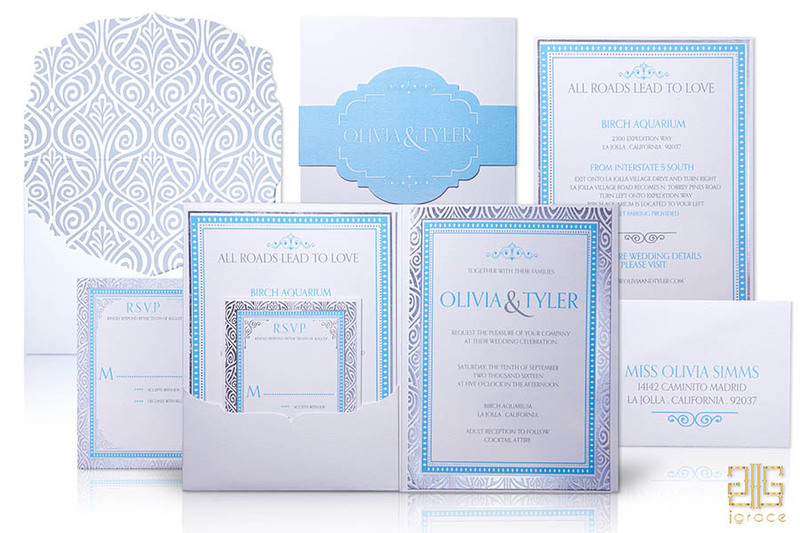 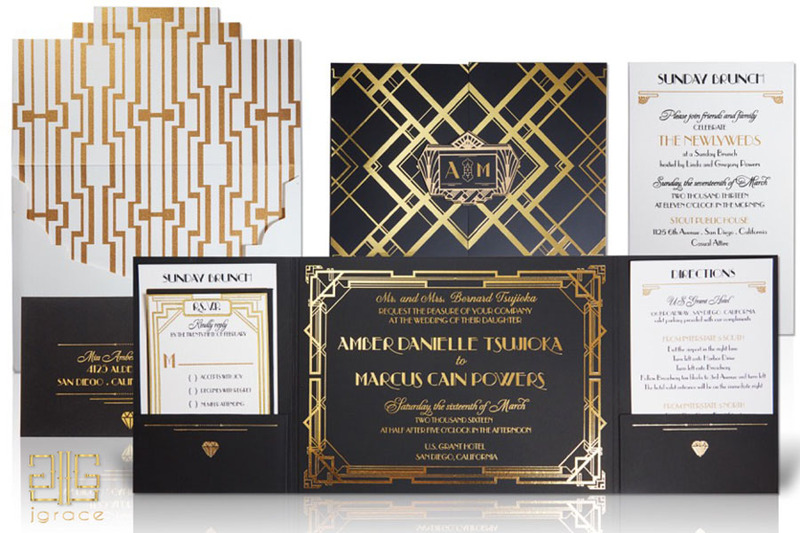 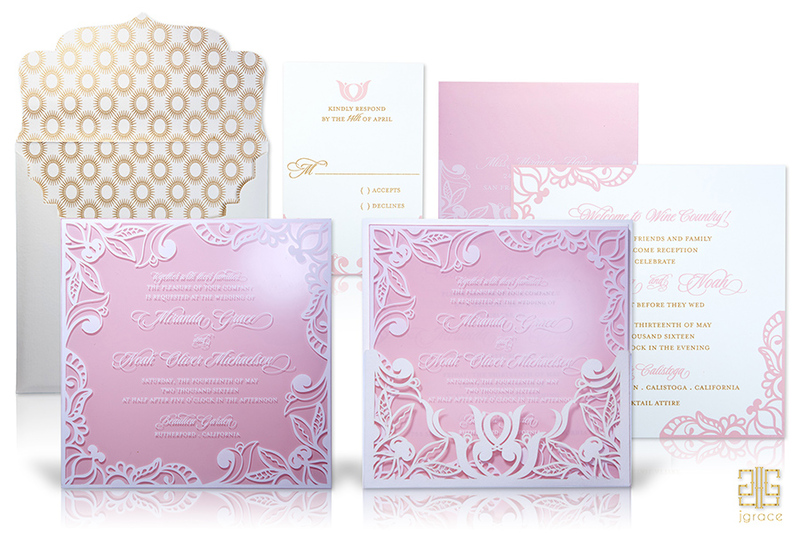 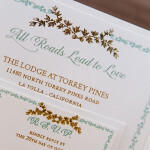 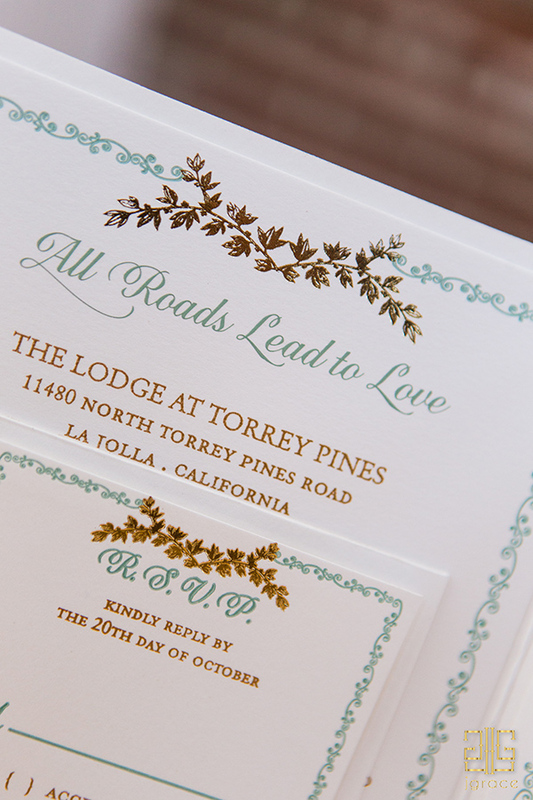 The pocket-fold announcement is decorated in golden laurels highlighting the couple’s initials with a harmonizing fleur design aligning the wood embossed piece. 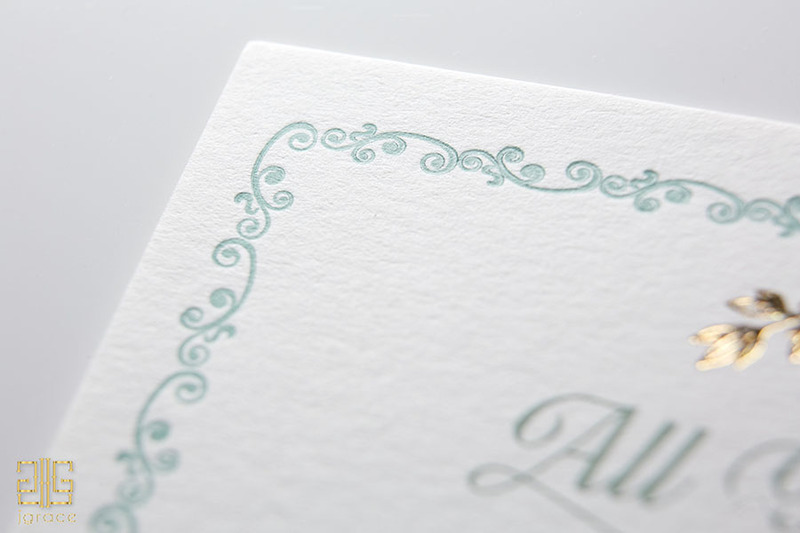 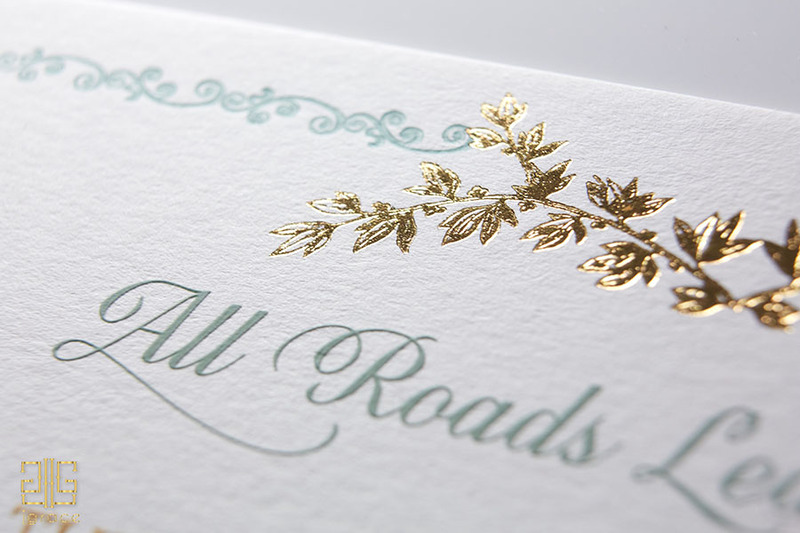 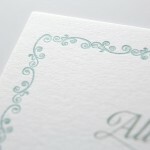 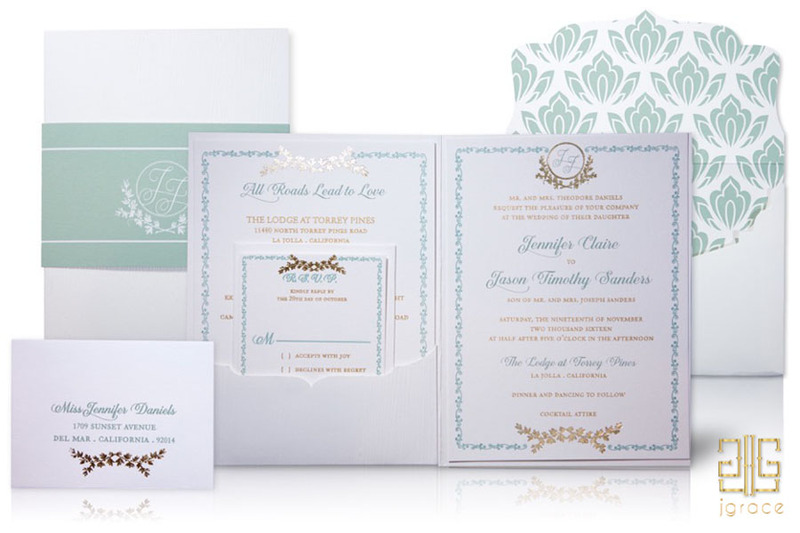 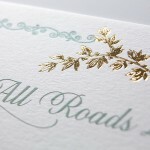 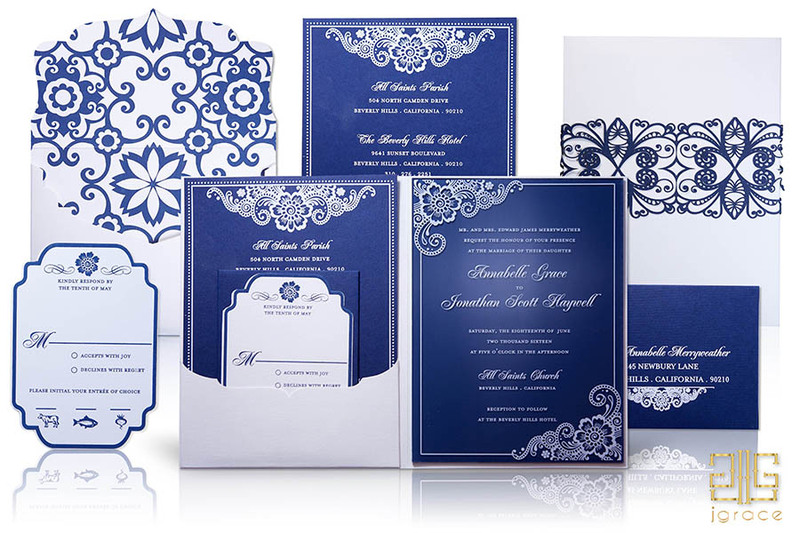 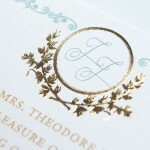 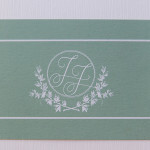 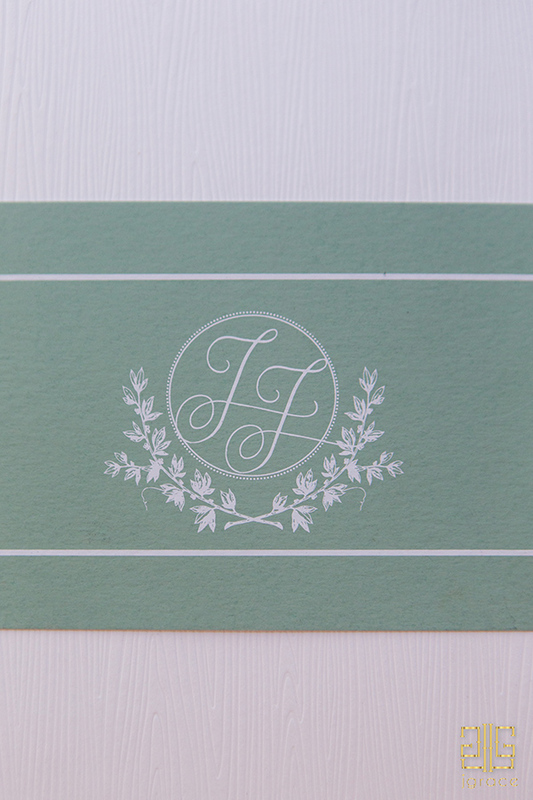 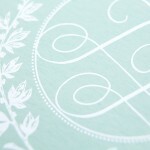 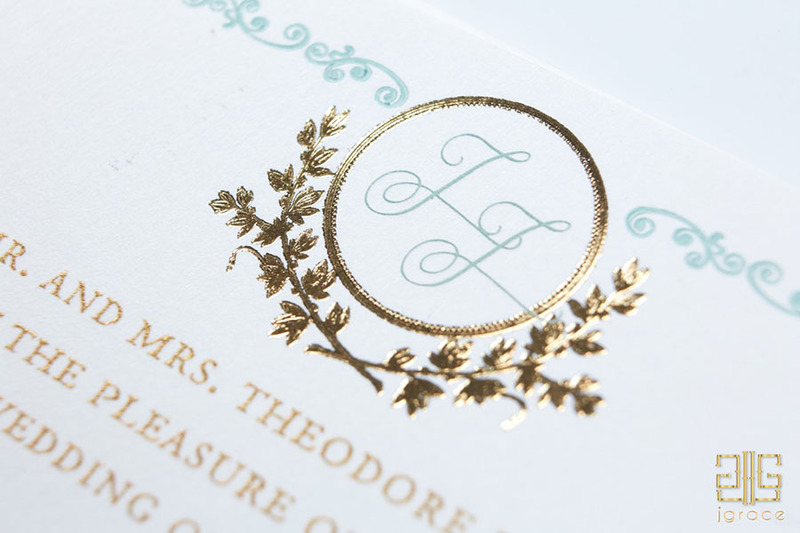 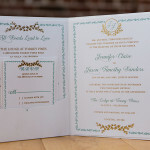 The pale green floral motif carries throughout the envelope liner and delicate trim with a complementary RSVP card. 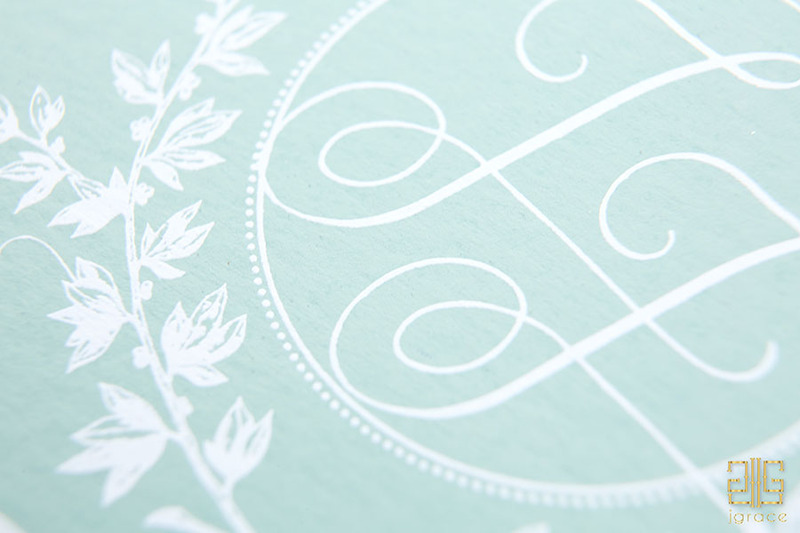 Details enclosure and monogrammed sleeve included. 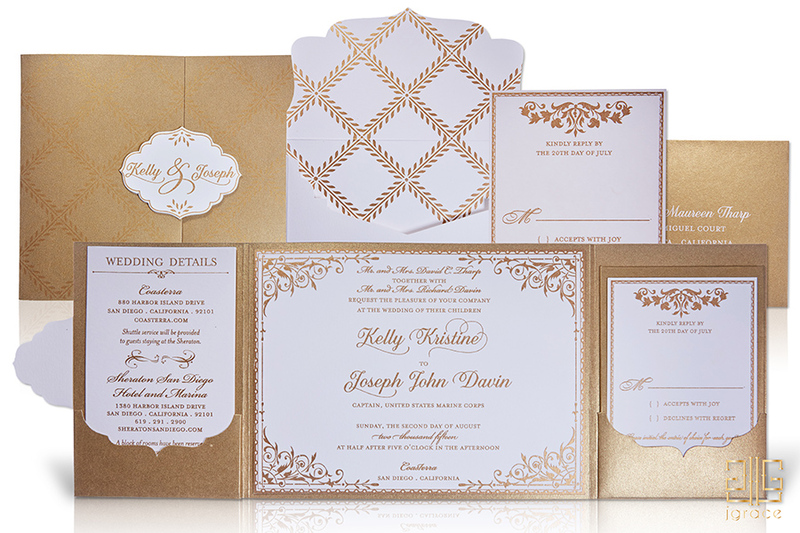 Customizable to suit your color palette.